There is absolutely no type of business that is unable to benefit with the help of SMS marketing. Some call it text message marketing, but no matter what you c all it the new form of marketing is taking the world by storm. More and more businesses are finding the success they want thanks to SMS marketing, including pharmacies. Save Time: Text messages reach their intended target quickly, in instant time. There is no wondering if they’ve saw the message yet. Cost Effective: Text message marketing can save paper costs, printing costs, timely phone calls and more. Your pharmacy can certainly benefit with SMS marketing. There are numerous methods of using text message marketing for a pharmacy and it is a good idea to take advantage of them all, as each offers its own set of benefits. Take a look at the many ways that pharmacies can use text message marketing. Reminders: With busy lives it is easy to lose track of when it is time to pick up medications. Why not do your customers a favor and send them a friendly reminder? Discounts: Everyone loves a good discount, especially on those much needed medications. Use SMS marketing to send discounts and coupons to those who patronize your pharmacy and those who have signed up to be on your marketing list. Surveys: Wondering what customers think about a specific product or service? How about their recent visit? Use SMS marketing to invite them to take a survey that will benefit them in the future. Promotions: Are there special deals coming up in your pharmacy? Text the details to your customers. News/Changes: it is hard to keep up with the latest news from pharmacies and medicine companies, but with SMS marketing you can keep all of your customers on top of the news they need to know. 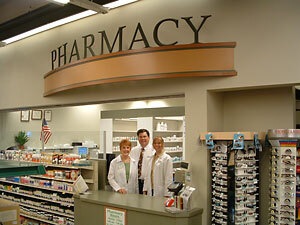 Loyalty Clubs/News Information: Loyalty clubs are big hits with pharmacies, retail stores and more. Start your own and you’ll have tons of people who love you. Your SMS marketing campaign can boost the people that will be signing up for your list. As you can see there are several ways that SMS marketing can be used for your pharmacy. There are certainly many others that are possible as well. Use them all and before you know it you’ll have plenty of people begging for your newsletter and text messages.